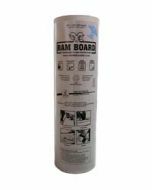 The Ram Board Tape Applicator is a handheld tool that allows builders to quickly apply tape up to 4" wide onto seams in floor protection. Ideal for working with products such as Ram Board, CoverGuard, and Corrugated Plastic sheets, the floor protection tape applicator substantially speeds up how quickly one worker can tape seams. By simply rolling the Tape Applicator along floor protection's seams, tape is firmly placed. 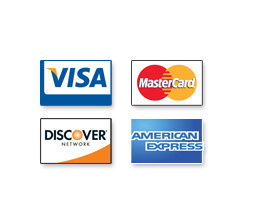 The Tape Applicator can be used with any type of tape up to 4" wide. Weather using Vapor Cure tape, Seam Tape, Masking Tape, or Polyethylene Tape, the applicator makes using floor protection quicker. The tape applicator for seam tape allows builders to quickly tape the seams of their floor protection. 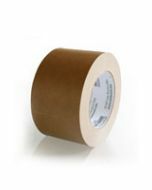 Works for use with Seam Tape, Vapor Cure Tape, Masking Tape, Polyethylene Tape, and any tape up to 4" wide. Speed up the installation of your Ram Board with the tape applicator!